My Toddler Refuses to Nap --- What Can I Do? 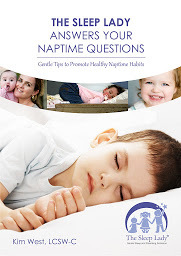 My Toddler Refuses His Nap — What Can I Do? First of all Emily, take heart, because I’m not sure it’s all your fault. Honestly, I think you should forgive yourself because feeling guilty is not going to help you fix the problem. We all do whatever we need to do to survive, particularly when you had a newborn and a very young first child under two when you bring the new baby home. I have to commend your son! He has an incredible amount of stamina-6 months of refusing a nap. That’s amazing. Obviously, you cannot make him sleep. You can only create the environment; have the right timing; and then give him the rules about staying in his room. I did notice that you said that he comes out of his room, so I get the impression that he’s not in a crib anymore. I do have to say that this may be part of the issue. He doesn’t completely understand what it means to stay in your bed all night long (or for nap time). Toddlers don’t have impulse control, so usually they just pop out and come running, which is exactly what he’s doing. Did you did move him to a big bed because of the baby? If so, it’s likely that the baby is in the crib. If you don’t want to backtrack by putting your son into a crib, or you don’t want to get another crib for him, then you’re going to have to completely safety proof his room and gate his doorway. Then just say something along the lines of ‘you have to have quiet time in your room, but we’re not coming out until the timer goes off’ (or you could get a great wakeup light). You may even want to consider trying for the onset of sleep — if you can do this with your other baby — by staying with him and doing a modified Shuffle just for naps. You’ll have to pay attention to see if that could be over stimulating if you choose to try. To do a modified Shuffle, first sit by his bed, then after a few days move by the door, and then on the other side of the gate. I would only try for an hour and I would try everyday. After, if you have tried for two days — a maximum of 3 — or he doesn’t nap and you start to see him fall apart, then I would just put him in a stroller or the car. It’s okay to do whatever works. Let him have at least a 45-minute nap and do not try to transfer him. Don’t do any risky business just because he refuses to nap, okay? Let him have a nap so that he could have a little tiny bit of catch up and make sure his bedtime is early, especially on the days that he doesn’t nap. It’s got to be 7:00 p.m., possibly 8:00 p.m., but only if he takes a 45-minute nap that day. I think right now he’s sleep-deprived and he has a lot of catching up to do. Most importantly, don’t lose hope!